Bunce was one of eight turkeys rescued from a factory farm. From a one-day-old chick, Bunce lived in a huge windowless shed with 30,000 other turkeys. Crowded in with no room to move, Bunce was destined for slaughter after a short, horrific life. 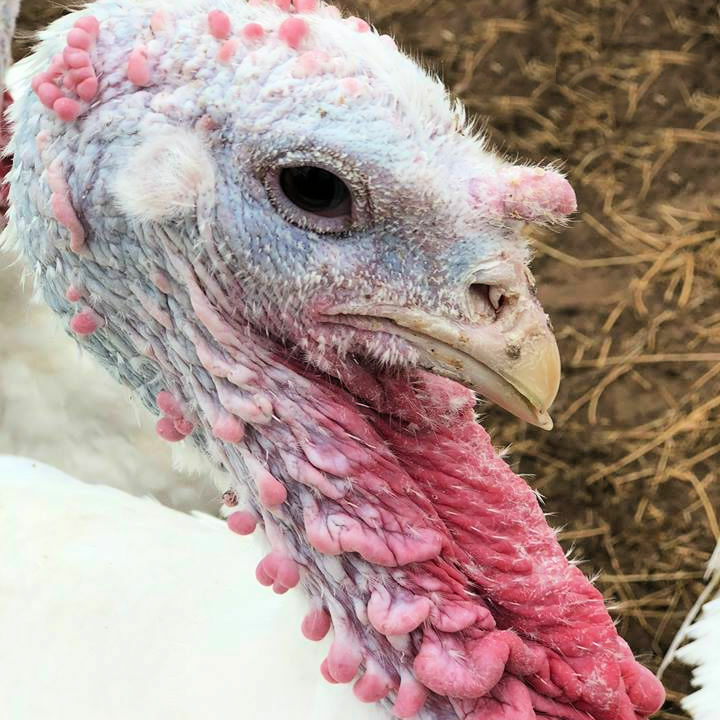 As a factory farmed turkey, Bunce still shows the signs of an earlier life of pain and suffering but here at the sanctuary, she is finally able to stretch her wings, dust-bathe and wander around the grounds with her friends. Bunce is also an important ambassador for the millions of other turkeys who are killed each year – changing hearts and minds of many visitors to adopt a cruelty-free lifestyle. Bunce is someone, not something.